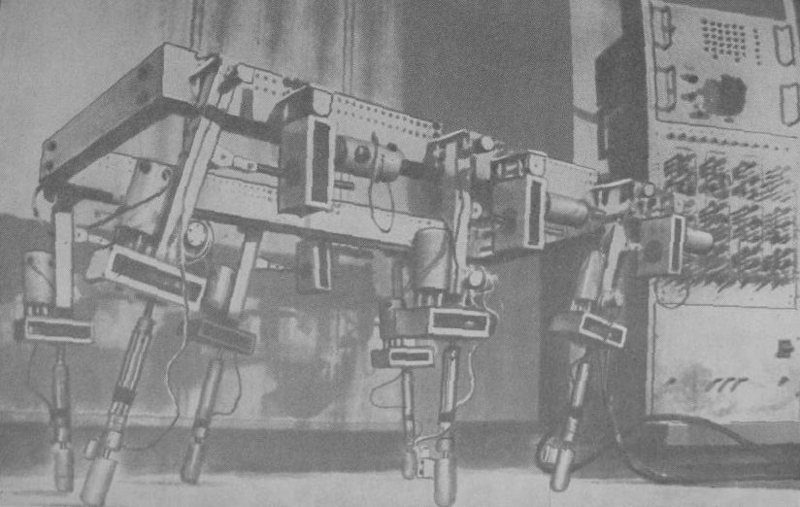 Six-legged walking machine of M. Petternella – FOP Shvachko V. V.
In the early 1970s, M. Petternella with a group of colleagues (Institute of Automation, Rome, Italy – Istituto di Automatica, Rome, Italy) has created a six-legged walking machine with electric drives. There is interesting design solution for legs: hip performed as a hinge with the lateral axis (one degree of freedom), and telescoping of shank is made in area of knee joint. Thus, movement of legs can be the same as that of the hinged leg. 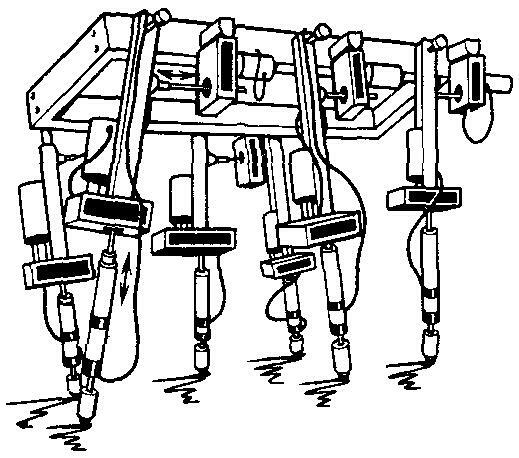 This model of walking machine is capable only of straight-line movement. 2. Козырев Ю. Г. Промышленные роботы: Справочник / Ю. Г. Козырев. — [2-е изд.]. — Москва: Машиностроение, 1988. – 392с.